Maple Leaf School No. 83 was formed in February 1881 by the council of the Rural Municipality of South Dufferin. The first school building, made of logs hauled by local farmers, was erected on NW31-2-5 west of the Principal Meridian. It opened in June 1881. 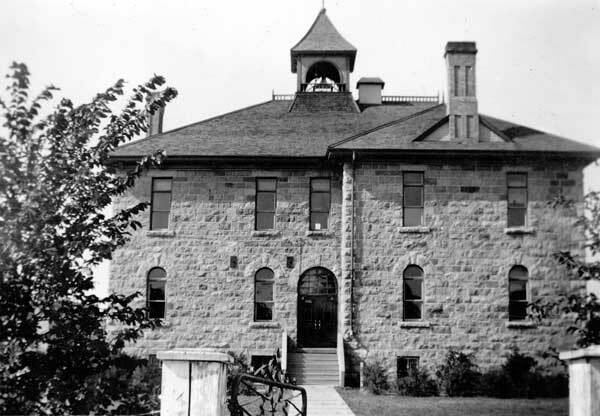 By 1886, a two-storey school was moved by Stuart Cott and James Nelson from Nelson and situated on Sixth Street in Morden. It was renovated into a two-room schoolhouse and used until its closure in 1912. The present site was purchased in 1893 and a six-room stone school was constructed in 1893-1984 on a design by architect Hugh McCowan, opening in 1894. It was both replace and demolished in 1953. 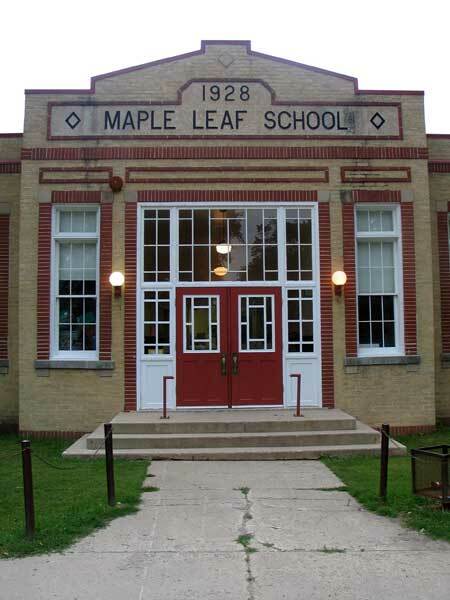 The present Maple Leaf School was built in 1928, with an addition constructed in 1980. 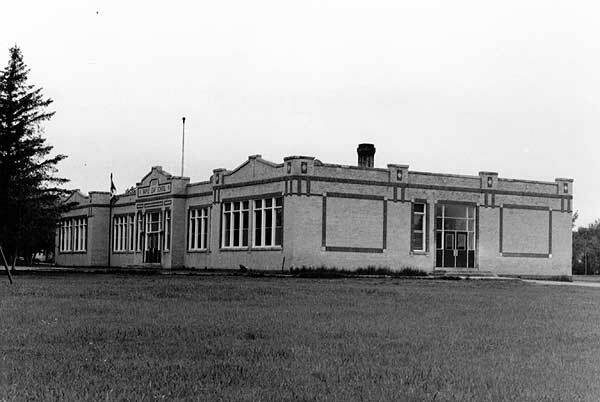 A new school for elementary and collegiate grades was built in 1953, and a separate Morden Collegiate Institute in 1965. A monument in front of the school was unveiled on 6 July 1982 in commemoration of community leaders who have maintained Maple Leaf School through the years. The building is a municipally designated historic site. GR8461, A0233, C131-1, page 23. Source: Archives of Manitoba, Architectural Survey - Morden 43. Source: Historic Resources Branch, Public School Buildings Inventory, slide 1314. 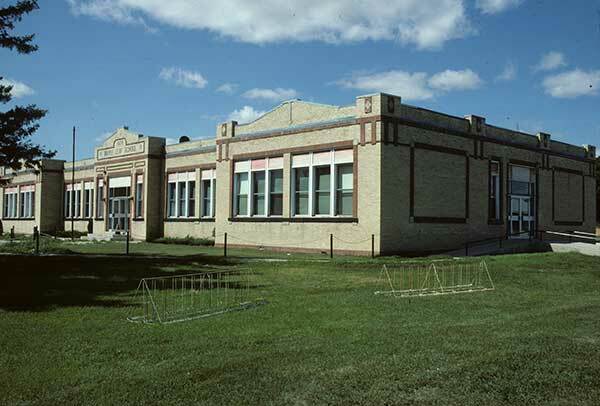 Maple Leaf School, Manitoba Historic Resources Branch. Marriage [Ida Anna Mitchell / Matthew Richardson, and Grace Conner / Alexander Cruickshank] and death [Katherine Ann Pilkington] registrations, Manitoba Vital Statistics. 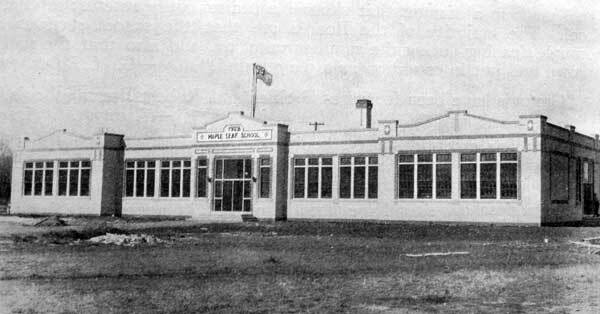 Manitoba School Records Collection, Maple Leaf School District No. 83 - Daily Registers, GR0347, Archives of Manitoba. “Where business centres,” Manitoba Morning Free Press, 17 December 1895, page 14. “Tenders for School building,” Manitoba Morning Free Press, 18 July 1893, page 6. “Morden,” Manitoba Morning Free Press, 5 January 1901, page 3. “Morden matters,” Manitoba Free Press, 18 April 1902, page 9. “Ex-Morden teacher A. W. Tristram dies,” Winnipeg Free Press, 25 April 1950, page 26. Morden, Mort Cheval, Pinancewaywinning, Lake Agassiz, Morden Centennial Committee.